Home / SOM / Strain / Types / What is Strain? What are Types of Strain? Hope you are doing well. In our last lecture, we have studied about stress and strain. We have learned about the basic concept behind it. 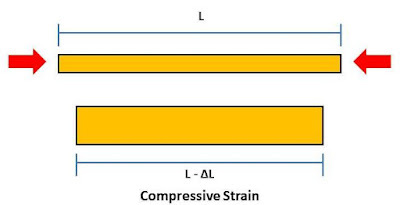 Strain is a measurement quantity which is the ratio of change in length to original length under loading condition. But when we stretch a body, its dimensions changes in all directions. 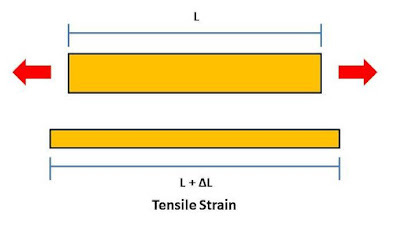 According to it, strain can be divided into two types. There are many other factors on which we can be categorized strain. So today we will learn about the types of strain. Hope you like it. Strain can be categorized into the following aspects. Let’s try to learn with an example. 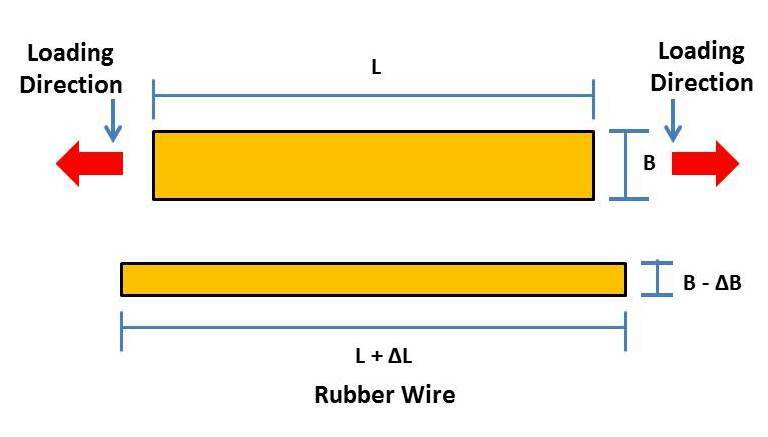 Take a rubber piece of L length and B width. Apply a pull load on its two parallel faces along its length and observe it. The length of the rubber piece slightly increases, suppose it is ∆L. We also observed some little change in the width and height as they both decrease slightly. Suppose the change in width is ∆B and change in height is ∆W. So we have observed three value of the change in length in all three directions. 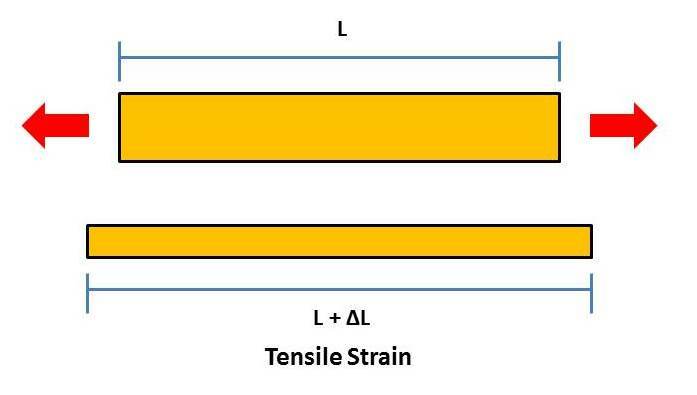 According to it, strain can be divided into two types. 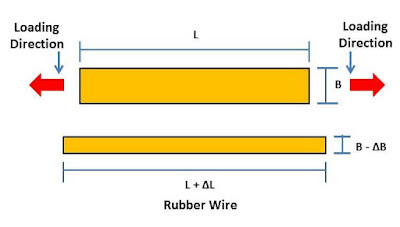 The ratio of change in length to its original length in the direction of loading is known as longitudinal strain. In the above example, longitudinal strain can be represented by. According to the types of loading, strain can be divided into three types. It can further divided into two types. Strain measure under compressive loading is known as compressive strain. It tends to increase the cross-section area and decrease the length of the body. Strain measure under tensile loading is known as tensile strain. It tends to decrease the cross-section and increase the length of the body. 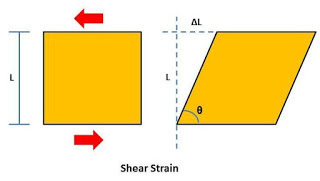 When the shear stress is applied to a body, it tends to deform the shape of the body as shown in the figure. The change in tangential angle in the direction of the loading is called shear strain. The ratio of change in volume to the original volume under normal loading condition is known as volumetric strain. This is all about types of strain. If you have any query regarding this article, ask by commenting. If you find something missing or wrong, inform us through commenting. If you like this article, don’t forget to share it on social networks. Subscribe our website for more informative articles. Thanks for reading it.